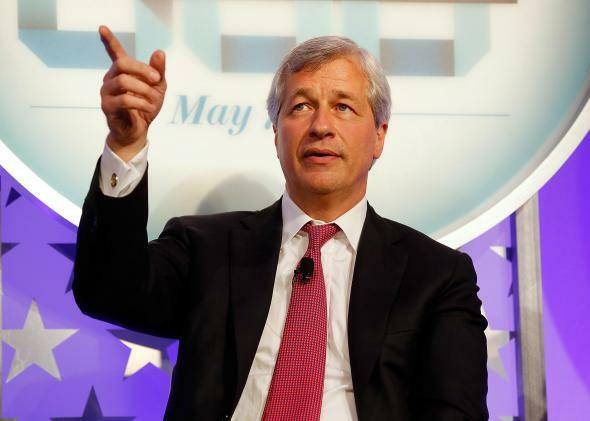 JPMorgan will admit wrongdoing to CFTC in London Whale deal. Though it’s unlikely that CEO Jamie Dimon will personally apologize. The Commodities Futures Trading Commission’s inquiry into JPMorgan Chase wrongdoing related to the “London Whale” derivatives bets isn’t that significant in dollar terms. But it looks like it’s reaching a significant end with $100 million in fines and—crucially—an admission of wrongdoing. Banks have been very reluctant to admit wrongdoing in regulatory settlements over the past 10–15 years, and regulators have generally been willing to forgo admissions in order to get settlements done. The new head of the Securities and Exchange Commission launched an initiative to revive wrongdoing admissions at the beginning of the year, and the CFTC, which has generally been the toughest Obama-era regulator has picked up the baton here. Admission of wrongdoing is particularly important in the JPMorgan context because the firm is in such a diverse range of legal problems, and yet its CEO seems likely to skate away unscathed. The bank’s preferred interpretation of that is that they’re somehow being unfairly singled out by regulators. Admissions of wrongdoing, by contrast, tend to establish the other view—that the bank is just lawless and out of control.